Who said you couldn't modify wagons? 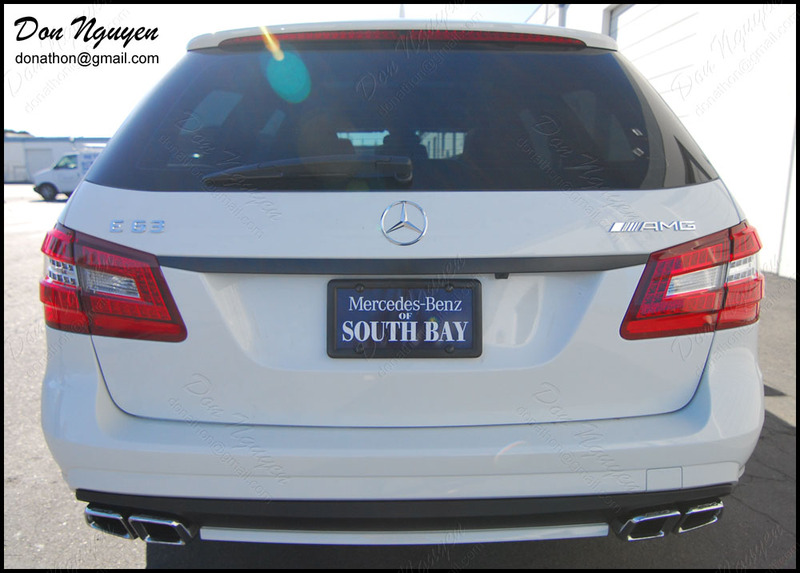 Here is a brand new white Mercedes E63 AMG wagon that I vinyl wrapped the factory chrome or brushed aluminum window trim with my matte black vinyl material. In addition to the chrome window trim, I also blacked out the rear chrome trunk handle piece to complete the look. The owner of this car was local to me in Orange County. It made a big difference as you can see from the before/after pictures. Getting rid of the chrome made the car look a lot more solid and really pulled the car together. Completely changed the look/stance of the car in my opinion.